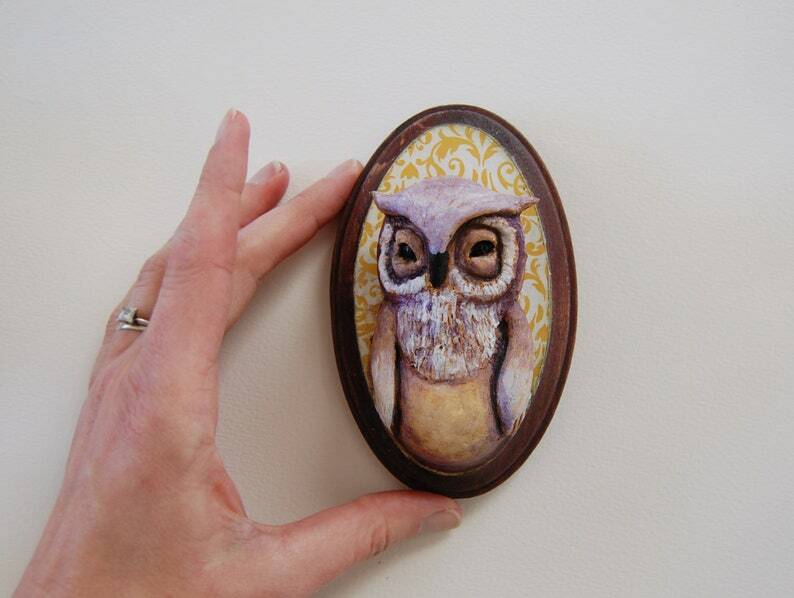 Original handcrafted owl faux taxidermy to adorn your walls. I created this little owl sculpture with multiple layers of air dry paper clay. After days of drying, I painted him with golden brown and purple acrylic paints with hints of white. I then finished him with a layer of varnish. He is mounted to a small wooden plaque with a yellow background perfect for hanging! 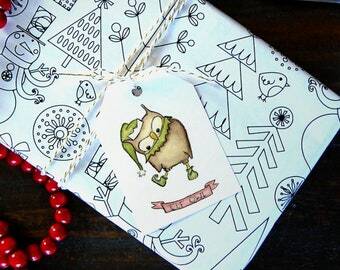 He is a one-of-a-kind unique gift for yourself or owl lover.